Women's skirt, shorts and pants sewing pattern. No. 6249, Butterick. All have comfortable elastic waistband. Taper legged pants. Choice of slim fitting or full flowing skirt. Wide legged, almost culotte styled shorts with two different lengths. Side pockets. A Very Easy pattern. 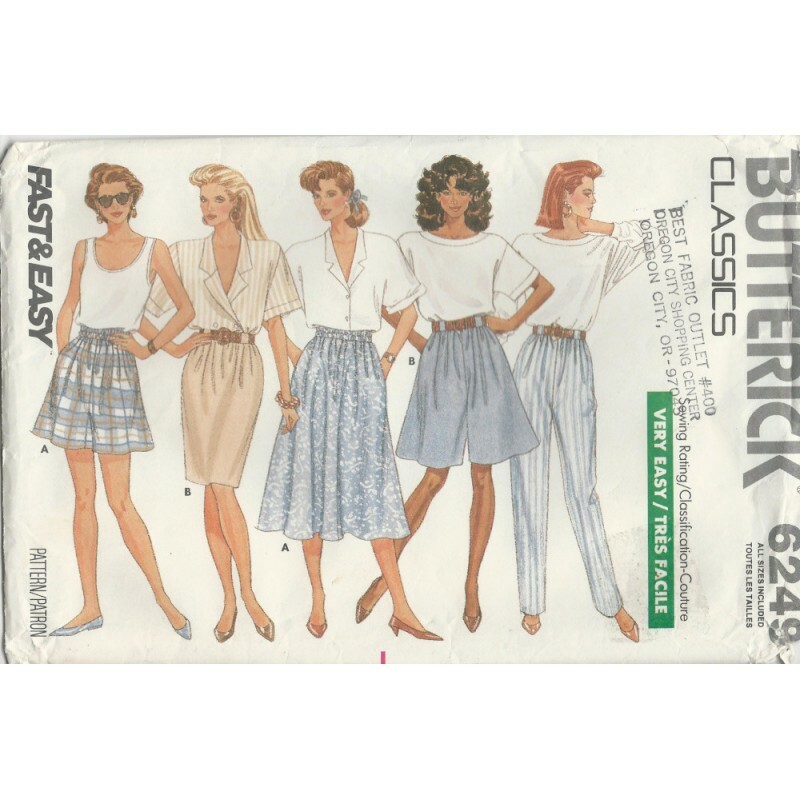 Sew nice, comfortable pants, skirts and shorts with this vintage, 1980's Butterick pattern! Condition: Checked and counted with all of the pieces and instructions here. Cut to the largest size with a few pieces cut to the shorter version. The extension pieces are here and can be reattached. Some wear and store stamp on the envelope.